The postcard-worthy view of the Alps in Munich Germany beckons one to sit back, relax, and enjoy the magnificent sight of a snow-capped mountain. But in a city with the lowest unemployment rate in the country, one thing seems to be obvious: the lure of work opportunities in Munich is more irresistible than the Alpine charm. Munich and the city's surrounding area is one of the country's most vibrant business areas with an impressive 4.6% unemployment rate in 2015. 22.1% of the Bavarian population works in Munich, and these workers are responsible for generating 31% of the state's total Gross Domestic Product (GDP). This city also maintains a strong economic presence of its own with a GDP figuring about 94.3 billion Euros. Munich is Germany's second largest employment hubs with an estimated labour force of 797,000 workers and expats bound here can take pride that they landed a job in one of the leading international business centres in the world. Munich's most dominant sector is the service industry, which contributes about 68% of the city's GDP, followed by the manufacturing sector which accounts for less than 24%. The city ranks 8th in the world's Global 500 cities, earned for being a truly cosmopolitan business hub. Although the services sector is the economy's main contributor, its diversity remains its strength. 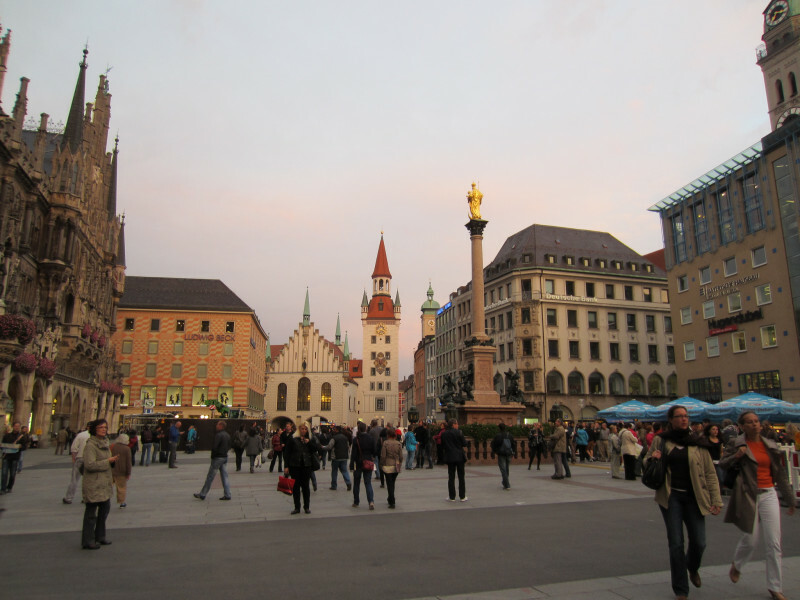 Landing a job in Munich is a win-win situation for the expatriates as they will enjoy comparably high wages. The average monthly salary in this city is around €2,158.27 per month, but this will still vary depending on employee's specialist skills and qualifications. Munich's blue-collar workers already enjoy an average hourly wage of €18.62. High paying jobs are also often found in the vehicle engineering, pharmaceutical and chemical industries. Expats should also know that so called ‘mini jobs’ (part-time work) with a monthly salary of €400-€450 are also becoming common in Munich nowadays. The average work week in Munich is below 40 hours. However, some employees work longer than 40 hours especially those employed in the fields of law enforcement, healthcare, transport and security. Every employee in this city is entitled to six weeks of paid sick leave, and an annual paid leave that usually ranges from 18 to 30 days, depending on the company he works for. An expatriate’s ability to adapt to the city's work culture is the key to a harmonious and productive stay in Munich. The Germans believe in a concrete set of rules and standards, and this also applied to the workplace. Their adherence to a system is inherent to them, and they expect this from their foreigner colleagues. Munich's economic success is also attributed to the German work ethic of always focusing on finishing the task at hand. They stick to their prepared timetables and goals. On that note, keep in mind that in Munich, punctuality is not just appreciated but is expected of you. Should there be any reason for you to be late to a meeting or presentation, make sure to call or notify the other party or your bosses. Your German colleagues may also be less receptive of small talk about personal lives or after-office party invitations. Not that they don't like having fun, it's just that they want to keep their personal affairs private and may be a bit hesitant to socialise with colleagues they've only known for a short time. Escaping to the Alpine mountains may be an adventure you'd find hard to resist. And so is the chance to live in a city with a thriving economy and varied work options. But, you can have the best of both worlds when you choose to expatriate to Munich.